Faith Gilbert of Letterbox Farm Collective in Hudson. According to Anthony Mecca of Great Song Farm in Milan, it hasn't been difficult finding people who are interested in working, volunteering, or becoming a member of his CSA, which is in its third season. "There's a lot of interest in farming," Mecca says, despite the uncontrollable and often unpredictable rigors of the job. "My mom grew up on a farm, and she says, 'Why would anyone want to do that?'" says Mecca. "She grew up in the '50s and wanted to work in the city." For young farmers today, though, the career isn't an inescapable family inheritance—it's a purposeful and well-considered choice. In 2007, five people set out to create a recruitment film for young farmers. The project developed from a documentary, which took three years to make, into a widespread national community for young farmers—The Greenhorns. 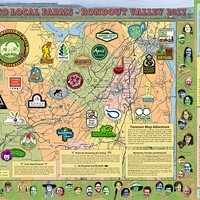 "Making the documentary was a great excuse to travel all over the country to start connecting the dots, formalizing the solidarity that exists within this movement," says Severine von Tscharner Fleming, founding member of The Greenhorns, which was based out of Hudson until Fleming moved to the Champlain Valley in Essex, New York, last year. "Ultimately, our success will be judged by how much land we are farming sustainably." Currently, there are an estimated 30,000 people in the Greenhorns network, which includes a blog, nationwide events, a newsletter, and radio programs. Fleming notes how there are organizations around the country working to support new farmers, such as the Northeast Organic Farming Association and Agrarian Trust, a land-access resource. Despite a growing support system, though, farming remains an antiquated career. 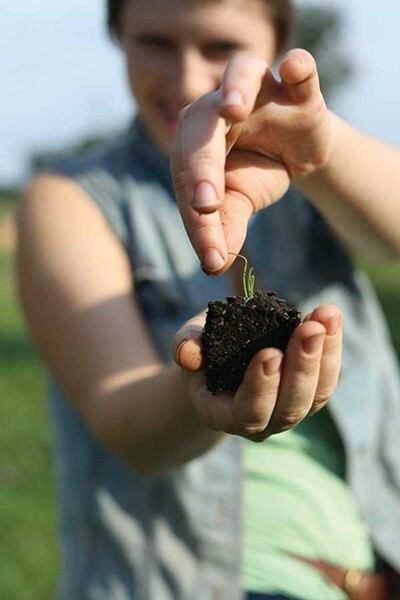 A 2011 report published by the National Young Farmers Coalition (a sister organization of The Greenhorns cofounded by Fleming) notes, "For the past century, the total number of American farmers has steadily declined—from over six million farmers in 1910 to just over two million farmers in 2007. For each farmer under 35 there are 6 over 65, and the average age of farmers is 57." The advent of factory farming shifted the vehicles of production from humans to machines, effectively wiping out a large population of workers. According to Fleming, now is the time for young people to take back the land. "There's 400 million acres of land about to transition from retiring farmers that need stewardship," says Fleming. "It's a strategically important moment if you care about how we cultivate our planet—it's a turnover moment." Amanda Beckley of Letterbox Farm Collective in Hudson. 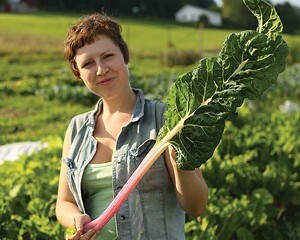 In 2012, The Greenhorns published Greenhorns: 50 Dispatches from the New Farmers' Movement, a book of essays by young farmers about why farming is important to them. "The reasons are very personal for different people," says Fleming. 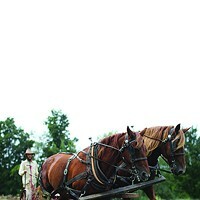 The dispatches range from practical perspectives, like Jon Piana's essay on community effort turning a week's worth of farm work into an hour of labor, to environmental issues, such as Alyssa Jumars's piece on draft horse-powered farming. Before founding Lineage Farm on Route 217 in Claverack three years ago with her partner Jon Ronsani, Jennifer Carson, 31, was working as a mediator in Dutchess County. "I thought that's what I'd be doing for a good while," Carson says. That is, until a friend asked her to help out on a small CSA farm. "I just loved it," Carson says. "The connection with food and with the CSA, getting to know members, and learning how plants looked and tasted when they were so fresh—it was all kinds of enjoyable." 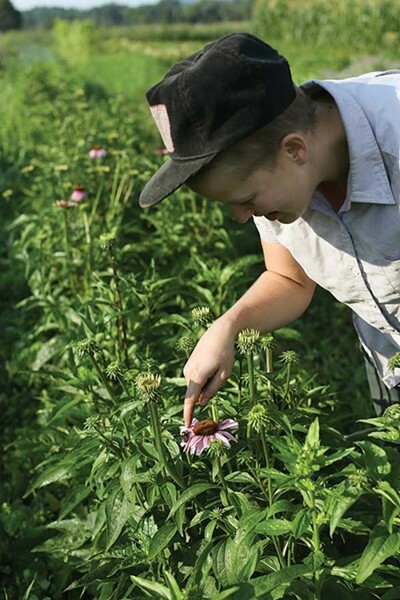 "A lot of the young farmers I know are of the class of people that are extremely brave—ethically and morally driven," says Faith Gilbert, 24, of Letterbox Farm Collective in Hudson. "They are independent people that value quality of life and autonomy, and are looking for meaningful work. The search for meaningful work is one of the defining questions of our generation. Farming becomes appealing for a lot of us within the context of that question. You can see the direct impacts of [the work] and believe those impacts to be good." Letterbox is a business in its first year that includes a one-acre vegetable garden as well as culinary and medicinal herbs, bees, and a few experimental grains. 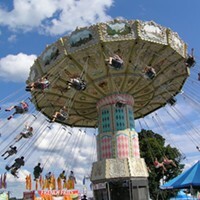 Next year, they plan to incorporate small livestock. 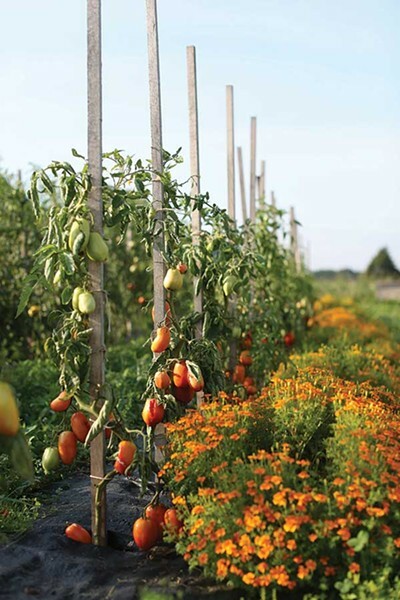 The farm, which supplies food to restaurants in Hudson as well as New York City, is housed on a property that belongs to a group of community-minded friends. "There are two intersecting circles of collaboration," says Gilbert, garden manager and one of the founding members of Letterbox. "We have multiple farmers on one piece of land managing different enterprises that are complementary." The cooperative model allows small businesses to do what large businesses can do by increasing buying and borrowing power. "On our small-scale garden, even if we get really savvy about everything we grow and sell, and maximize what we can make, there's still a very low cap for what we can generate—dollar for vegetable," says Gilbert, who says remaining a small farm is a high priority for the collective. "The idea is to link up several enterprises so we can do a lot more together."